In honor of the return of Game of Thrones and the final season, here is Samwell Tarly and Khal Drago. Not sure if I’ll be able to do everyday this year but here goes! Inktober day#1. Andrew Lincoln as Rick Grimes in AMC’s The Walking Dead. 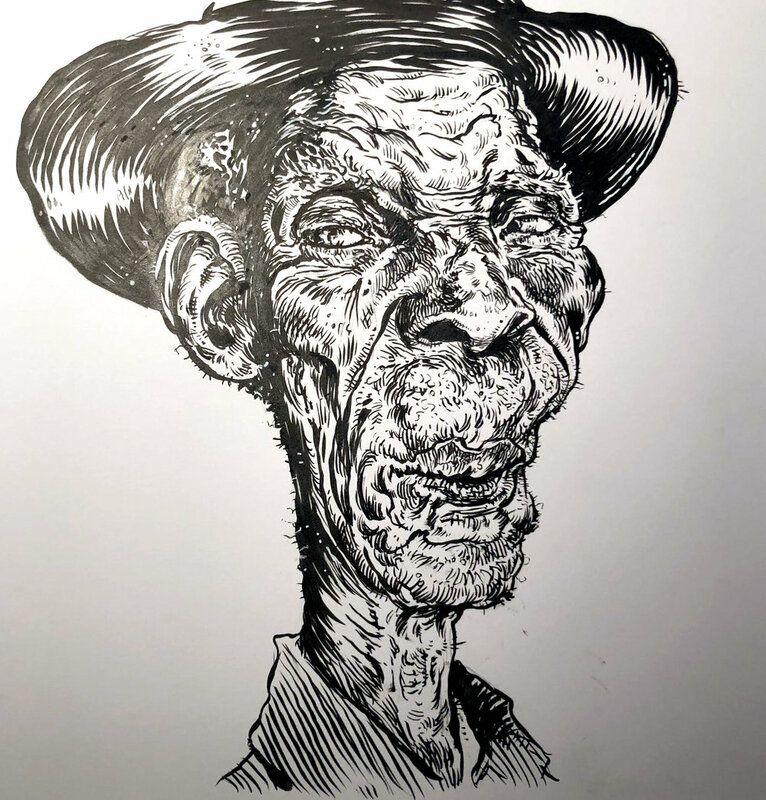 Here's an ink drawing of some random man's face. 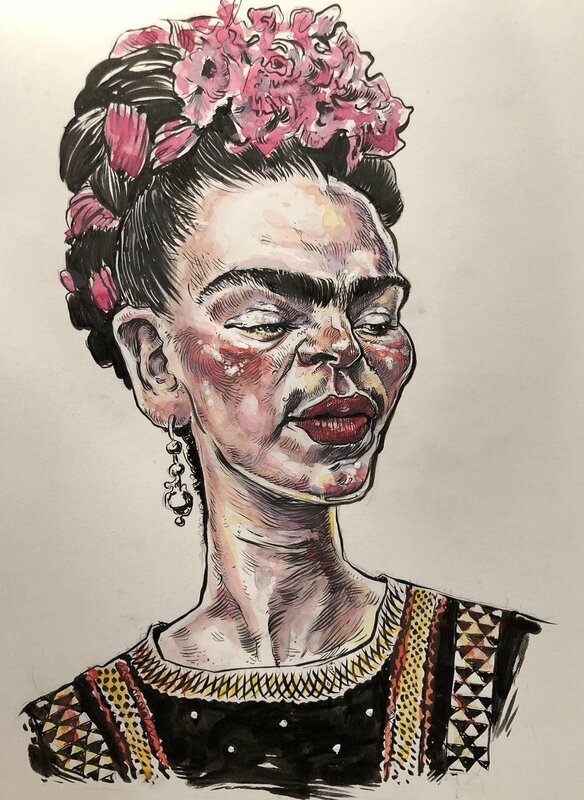 I love doing caricatures and portraits of famous people but it is liberating drawing anonymous, random faces as the need for a good likeness isn't necessary. 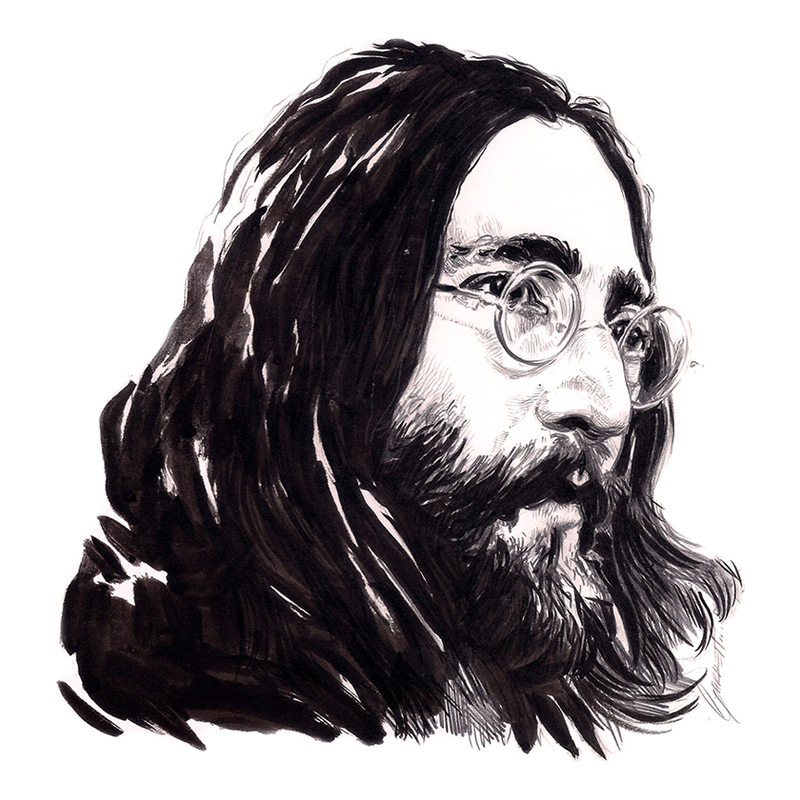 Here's and ink and pencil sketch from a couple years back in tribute for what would have been John Lennon's 75th birthday. I really liked how this one came out, sometimes the quicker ones just feel better. Here's a Jeff Goldblum sketch I did for fun. Digitally added some accent color and a touch of Grandmaster makeup to it, because Thor: Ragnarok was awesome! 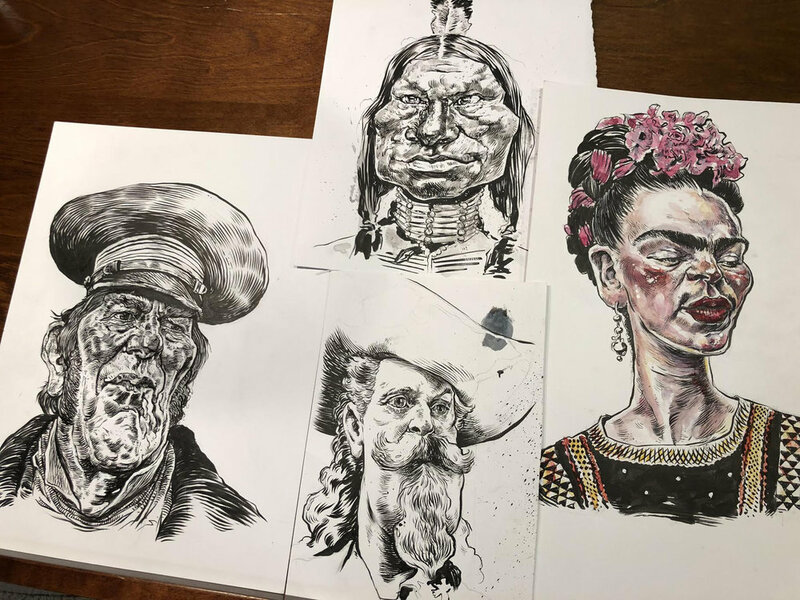 A view of some recent ink sketches. Ciarán Hinds as John Franklin in Ridley Scott and AMC's new show "The Terror"
Attempting to post more on my blog. Here is an ink drawing I did of Logan (Hugh Jackman). Still one of my favorite flicks of 2017. 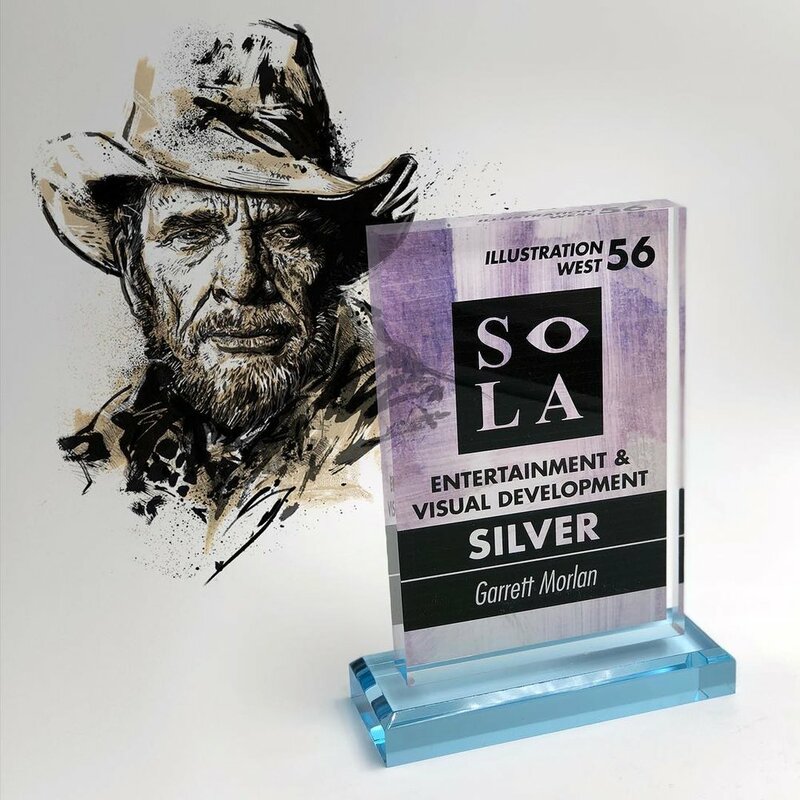 Thank you Society of Illustrators of Los Angeles and esteemed judges for the Silver award for my Merle Haggard illustration as well as featuring my David Crosby Lighthouse Poster in the Advertising Category. Had a lot of fun painting this tribute piece to J. Howard Miller's famous "We Can Do It!" poster with our very own Destiny character Amanda Holliday. 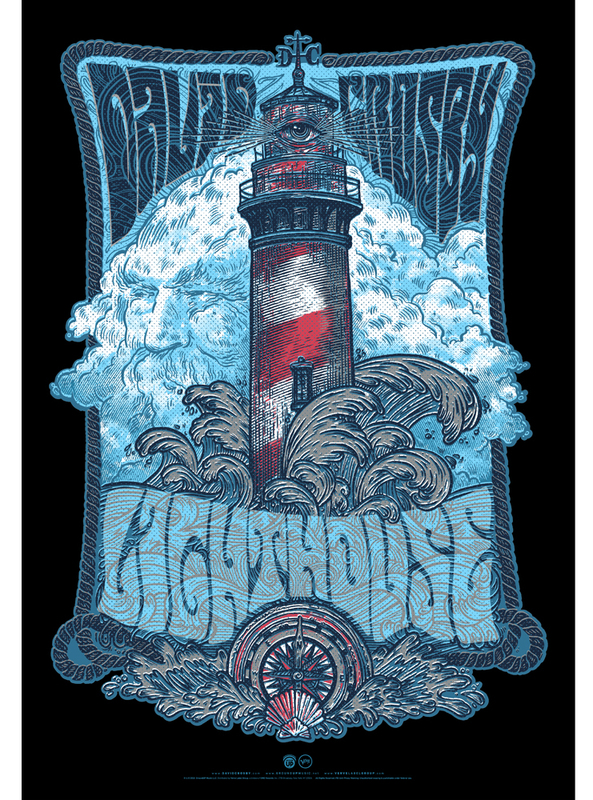 Also available as a tank and tee! Amanda Holliday can deliver you to the fight with some words of encouragement. 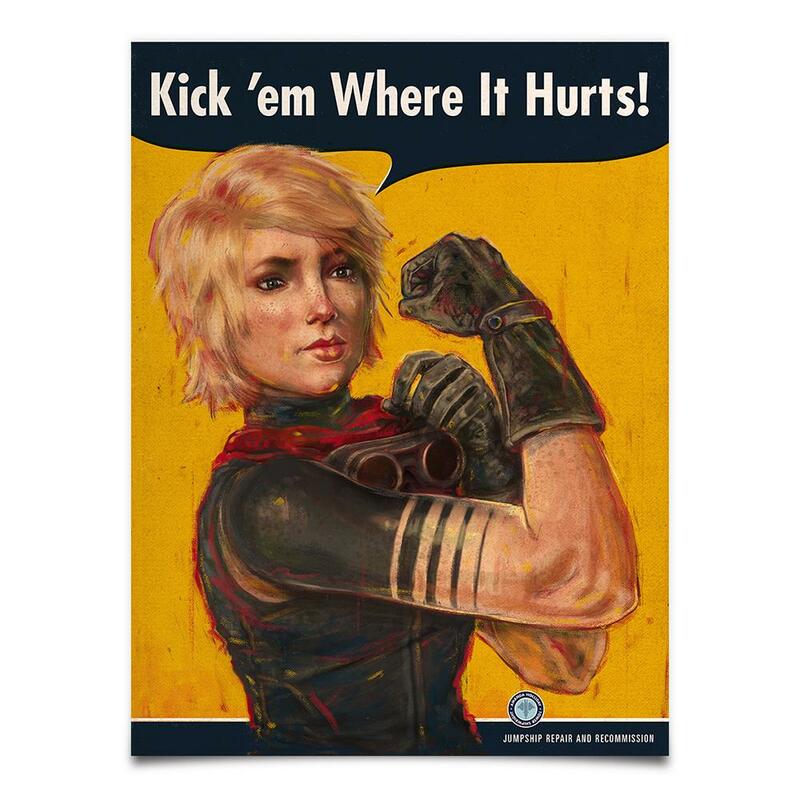 This poster is the perfect memorial to her battle cry - and a fitting decoration for your game room. Music and art are my fuel, so blending the two is one of my favorite things to do. Here are a couple sketches from my sketchbook of Joe Strummer and Muddy Waters. Welcome to my new site. Pardon the dust as this is still very much in Beta phase as I needed to get something up quickly. The site will continue to be honed and finessed as the days/weeks/months continue and much more content added. Thanks for stopping by!